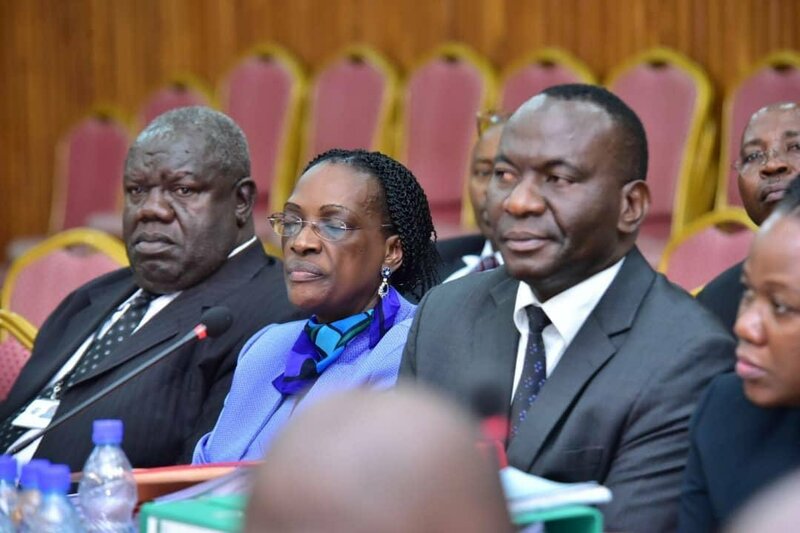 KAMPALA – The Chairperson of the Committee of Commissions, Statutory Authorities and State Enterprises (COSASE), Abdu Katuntu has blamed the former Executive Director Supervision, Justin Bagyenda and her partner in negotiating the sale of some of the closed banks and Benedict Ssekabira, Director Financial Markets for causing a crisis at the bank of Uganda. Katuntu lashed out at the duo on Monday during investigations into the closure of the seven defunct banks and faulted the two for selling National Bank of Commerce as well Global Trust Bank without taking a record of the negotiation minutes. This was after Mackey Owumu, the Director of National Payment Systems and Timothy Ssekirai Kajja Deputy Director Banking denied taking part in negotiations leading to the sale of Global Trust Bank as pointed out by Bagyenda. After the two denied ever taking part in the negotiations, Bagyenda defended herself saying she was given their names by officials from Bank of Uganda, after admitting she only recalled attending negotiation meetings with Ssekabira because she is too old to recall what transpired and that is the reason she resigned from the bank. When asked how long negotiations lasted leading to the sale of Global Trust Bank, Bagyenda feigned ignorance saying she doesn’t recall the time it took to negotiate and asked to cross check with Bank records, saying all she knows is that Global Trust never closed in one day. Katuntu warned Governor of the crisis awaiting the Central bank if the Central bank staff don’t have the record and will only resort to saying they don’t remember. “You see the crisis you have caused this nation, the two of you. Now we have to rely on brains. The problem is that when people retire, they retire with information about the institution and that shouldn’t happen under any circumstances ever,” Katuntu said. When asked how Juma Kisaame came to attend a meeting to discuss the sale of Global Trust Bank, Bagyenda revealed she invited him through a phone call, a statement that attracted shock from the Committee with Katuntu wondering how a full Executive Director Supervision would invite a prospective buyer, casually on phone. Bagyenda bounced back saying she didn’t recall the other staff that attended the negotiation meetings since she retired not because of being young, but because she was getting old.